The Abbey of the Genesee is a Roman Catholic community of contemplative monks belonging to the world-wide Order of Cistercians of the Strict Observance (O.C.S.O.) more commonly known as Trappists. We are part of the larger Cistercian family consisting of monks and nuns founded by by Sts. Robert Alberic and Stephen in 1098. We were founded from the Abbey of Gethsemani, Trappist, KY in the spring of 1951. 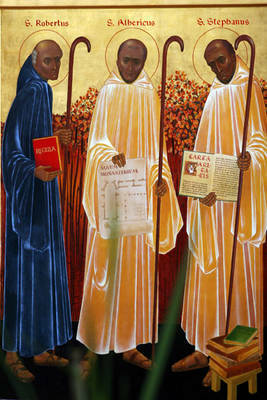 As Cistercians we follow the Rule of St Benedict, and so are part of the larger Benedictine family as well. Our lives are dedicated to seeking union with God, through Jesus Christ, in a community of sisters or brothers.